This model is fully painted in Dunkelgelb colour scheme, assembled and weathered. 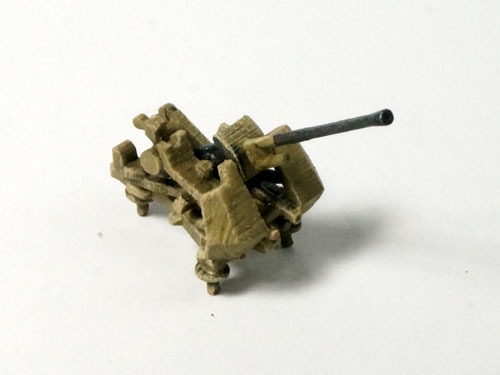 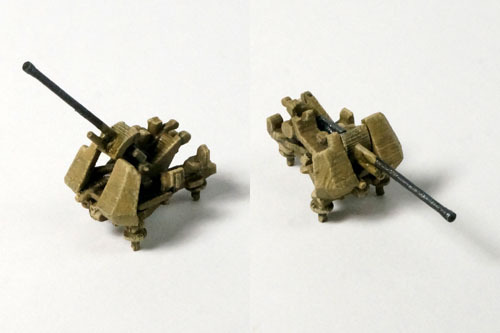 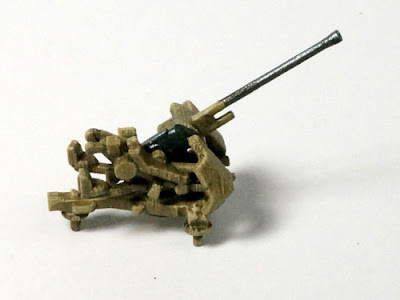 This 1:144 WWII German 3.7cm Flak 43 model contains 3 parts: gun mount, gun and sled. Gun can be elevated on the mount and rotate on the sled.